according to Maceo it means "I love you" in Dog Speak. 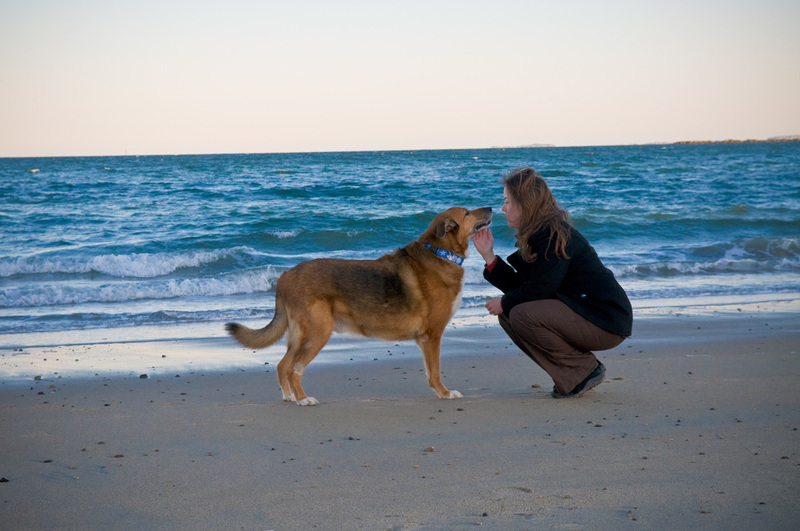 Bowchies was founded in 2006 by Jenn Johnson and her soul mate dog Maceo. It bloomed from the love between Maceo and Jenn into an amazing business and partnership. In the time since we started, Maceo has passed away and Jenn has had many life shifts and discovered a new passion in yoga. Having taken a small break from Bowchies to pursue other dreams, Jenn missed the dog collar brand she so lovingly built with her best friend, and is now back with a new vision. So, with the help of her daughter Zoe and her loving dog family, Coco Loco and Trixie Blue, she has decided to make a shift in Bowchies and create a one of a kind yoga inspired line. We continue to grow or business building it on passion and love. We hope you enjoy and help us grow Bowchies as a thoughtful, playful, and giving enterprise we had created years ago. We are located in Newburyport, Massachusetts.